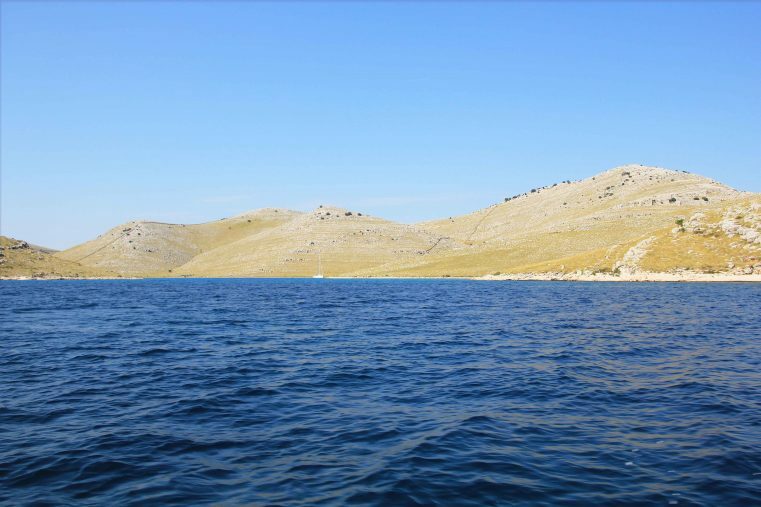 Explore the Kornati Islands on a daytrip with a private skipper! 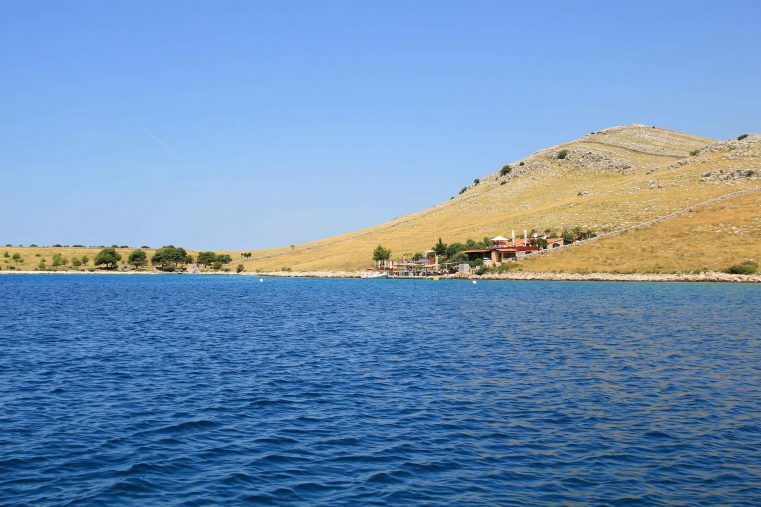 Croatia is well known for its beautiful endless coastal line, for the clean waters and the beautiful beaches. Plenty of skippers and boatmen are going to this country to sail from one island to another. 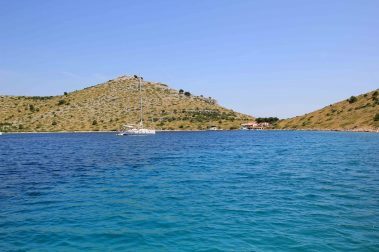 The Kornati Islands is an archipelago that counts 140 islands, 89 of these islands and islets belong to the Kornati National Park. Some of them are larger, some are smaller but most of them are having bizarre shapes looking stony drops inside the deep blue sea. 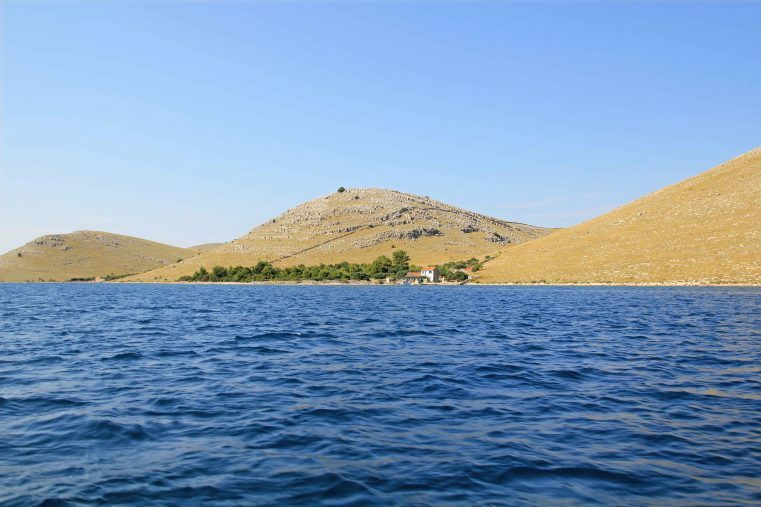 Why visiting Kornati Islands National Park? 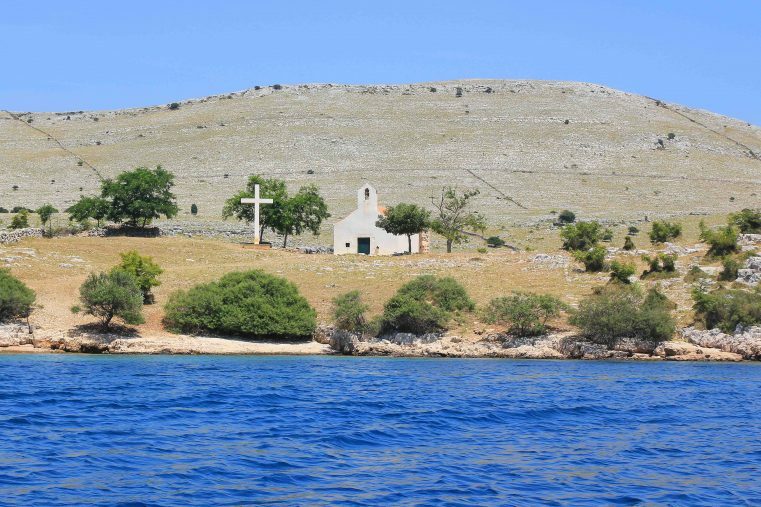 Boating to the Kornati islands felt like visiting a real island paradise. 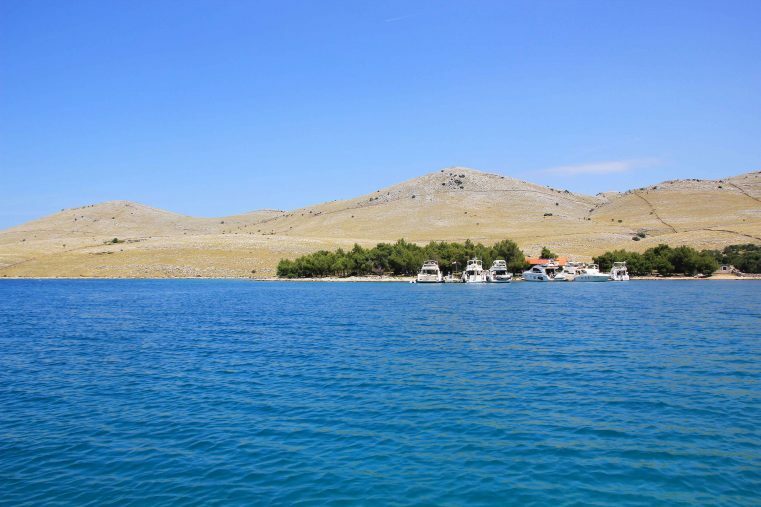 Not for nothing the Kornati National Park belongs along to Krka National Park and Plitvice Lakes to the most beautiful National Parks of Croatia. 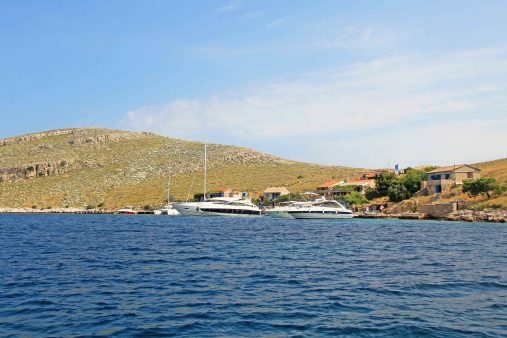 The archipelago is exceptional beautiful – we got spoiled with amazing views all the time, the deep blue water in contrast with the raw beauty islets was immense. 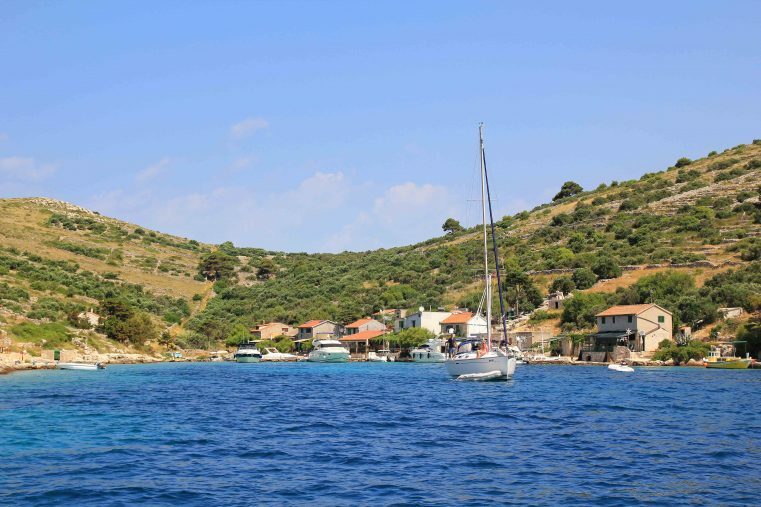 Beside of cruising the archipelago, you can stop and explore some islands. 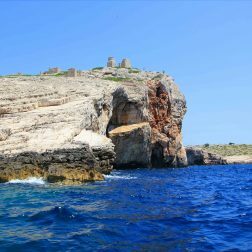 Even that it can be hot during the summer, don`t miss to hike up to the top of an island and enjoy the unique panorama throughout many beautiful islands and islets. 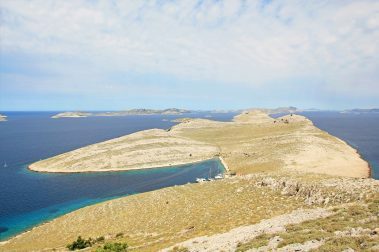 It was George Bernard Shaw who wrote “On the last day of the Creation God desired to crown his work, and thus created the Kornati Islands out of tears, stars and breath”. I just can imagine what he felt while he said these words. 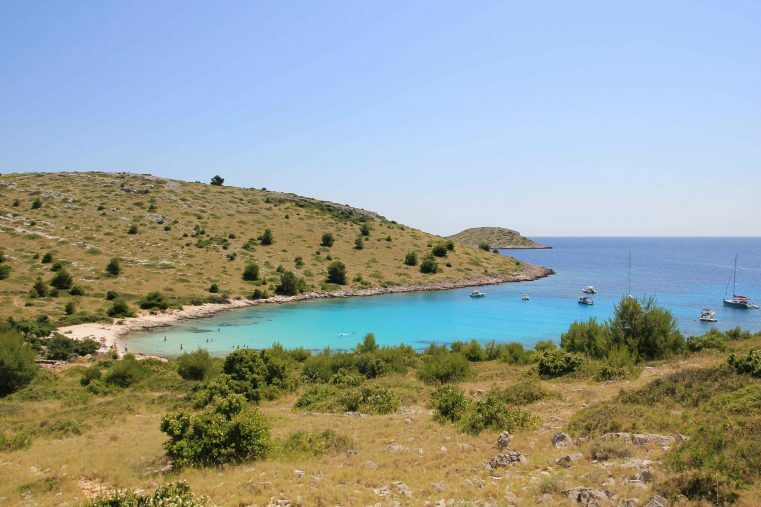 One of the most beautiful beaches you will find on Otok Levrnaka, the Lojena Beach. The water is turquoise blue and so incredible clear. By the way this beach made it up to our 7 best beaches list in Croatia. 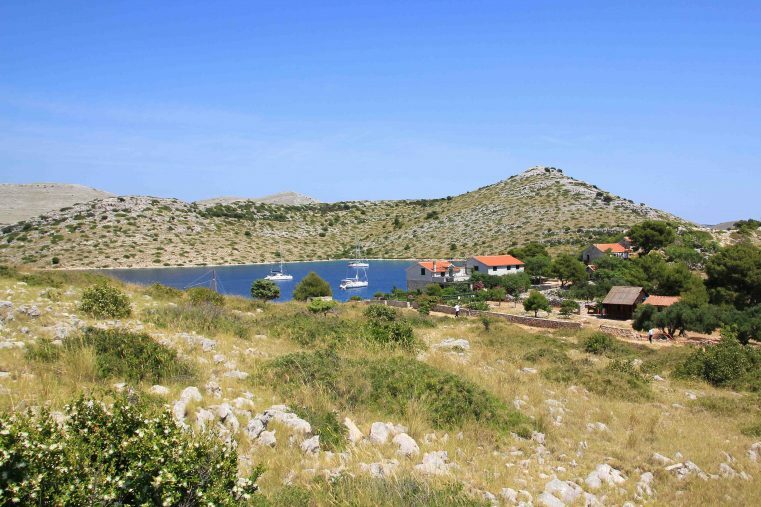 In general, Excursions to the Kornati Park are offered from Zader, Dugi Otok and from Murter. 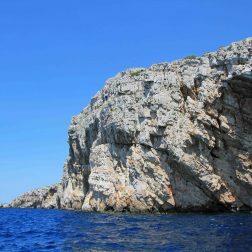 We did the day excursion to Kornati National Park from Murter. 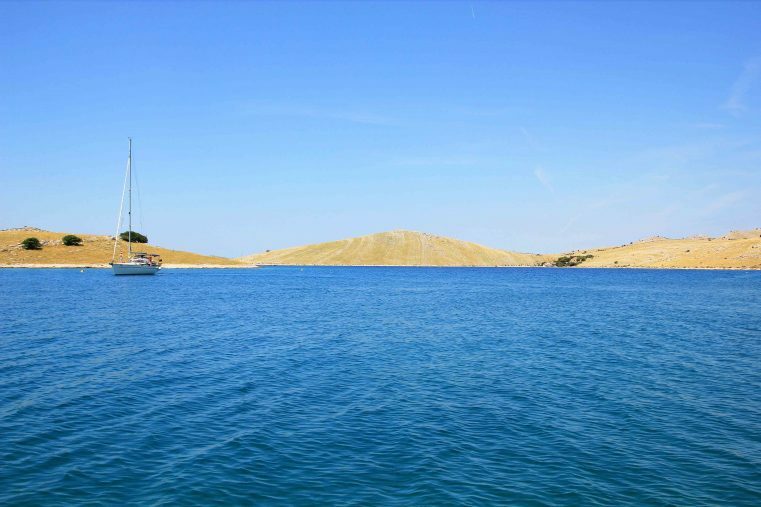 Otok Murter is the closest spot to Kornati National park, so that position provides less time driving to the park and more time to explore islands, swimming and sunbathing. 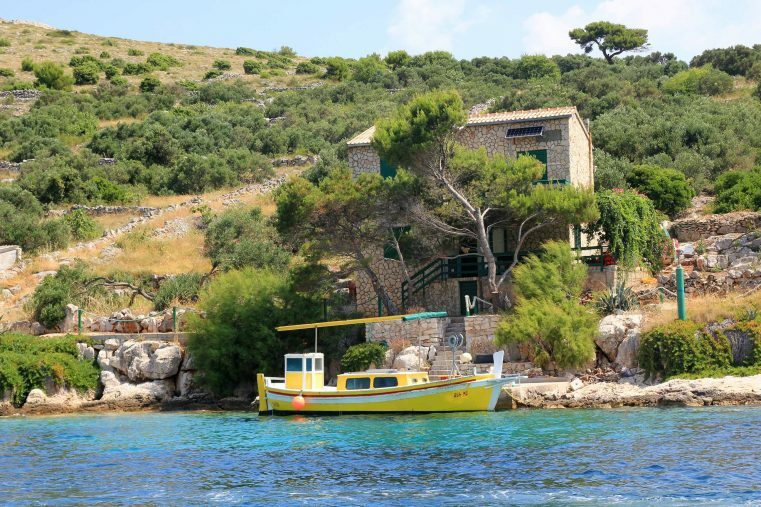 There are no hotels just some basic houses inside the Kornati national park so it’s a good idea to stay on Murter island where it’s easy to arrange a boat trip. 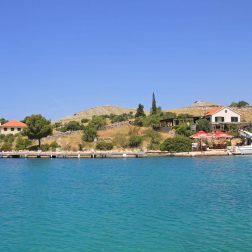 Additionally to that the island is a fantastic holiday choice, with wonderful beaches and tasty restaurants. 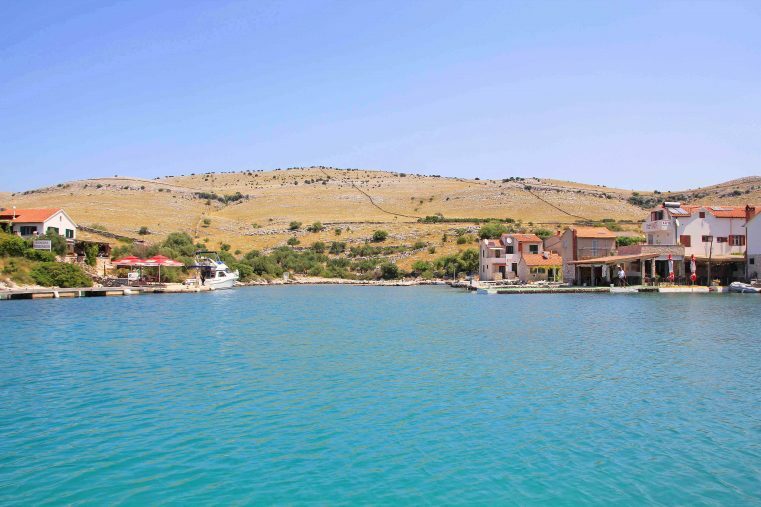 Plenty of boat tours are offered from that place and we recommend to do a daytrip. 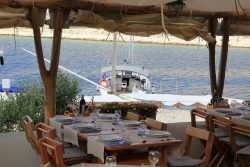 We are no fans of big boat tours, best you take a private boat & skipper from Murter so you can visit all this great places by yourself. We loved that we could stopped for a swim or to visit an island at any time we wanted to. The skipper was just amazing, showing us the best beaches and places. If you are using your own boat make sure you buy a ticket for the national park before entering. The entrance fee can be done in Murter too. 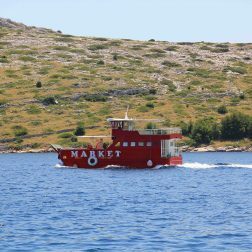 Kornati Islands Excursions – Where can I rent a boat with skipper? Wow amazing place and pictures are awesome !!! Never thought about visiting Croatia. From the looks of all your photos it is a beautiful place to visit. That water looks so clean and beautiful. Beautiful photos. There is so much blue in the skies and water. 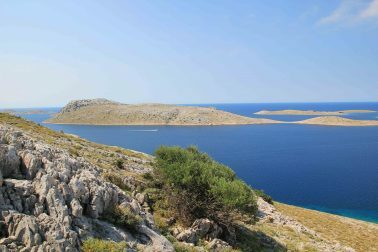 Kornati looks like a desert little paradise. Good thing it wasn’t featured in GOT or it would be overrun with gaukers now. Well, guess I will have to return to Croatia. 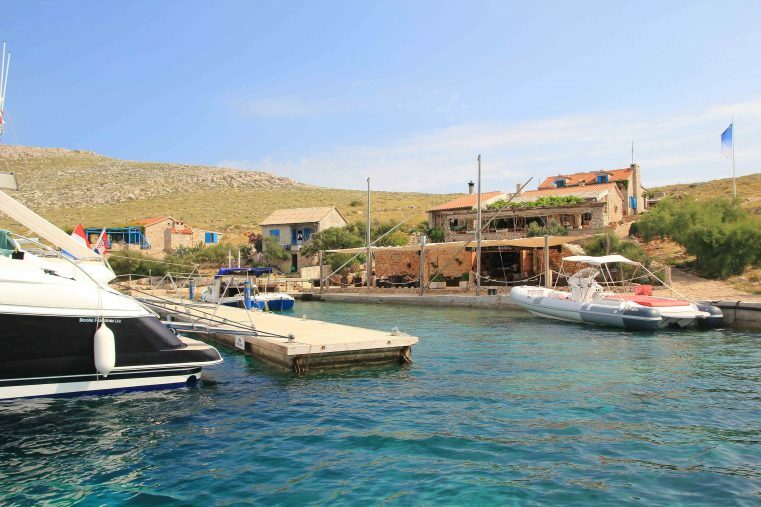 We didn’t have time to visit Kornati Islands and looks like a beautiful trip. Those views are breathtaking. 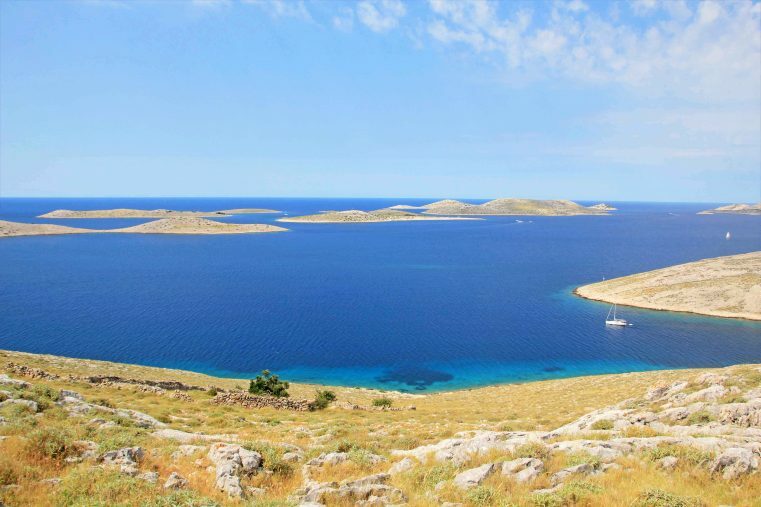 Kornati Islands truly look beautiful you are really lucky to get to see those views first hand. It sounds like you had a great trip. Martina your photos are beautiful! 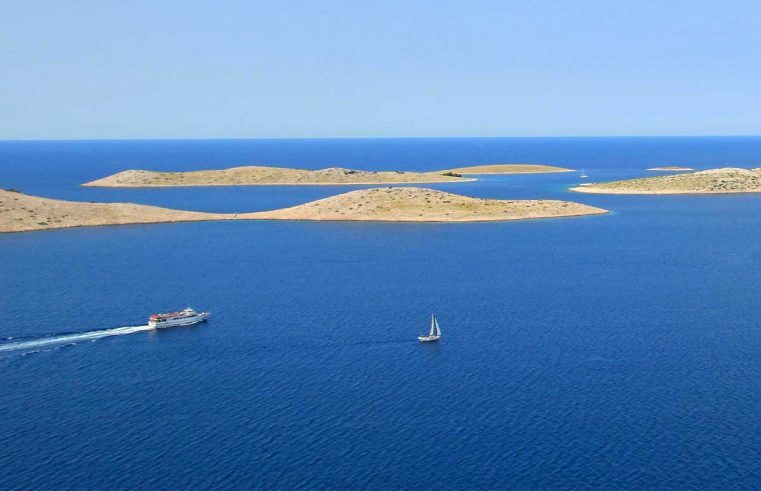 I have to admit that eventhough I live in Croatia, I’ve never been to Kornati Islands. I’d love to do it in say spring or autumn, as I don’t stand the heat very well, and they are so bare! What a magical looking destination. I had no idea that Croatia had such beautiful beaches. Ah Croatia. It has been on my list for many many years now. I really do want to go before it gets ‘too’ touristy. These islands do look fantastic too. Maybe this year. I deserve it after spending winter in Russia and Siberia! I live on a sailboat full time and the Med is a very popular place for cruising. I hope we get there someday so I can explore these islands from my boat! I hear Croatia is a great place to get out of Schengen. OMG this place is heaven! Your photos are gorgeous and looks like those wallpaper in my screen. Time to sort my schedule and insert Croatia to my travel bucket list. Places like this makes me appreciate so much how wonderfully God created the earth. If only I could travel the world and visit all of them. 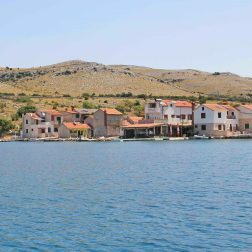 I have never thought about visiting croatia, but the people of the beautiful Kornati Islands make me want to go visit there someday! Thank you for sharing! Oh, that blue water. What a beautiful sight. I can understand why George Bernard Shaw made such a statement about Kornati Islands. 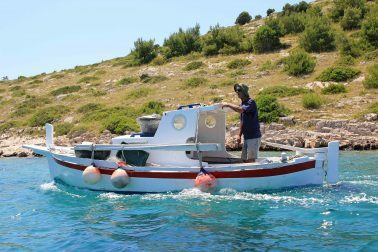 Great suggestion to hire a skipper to take you to the islands. All of the water shots are so tempting … I’m in need of a vacation, so this is perfect timing to learn about a new spot! How absolutely gorgeous! 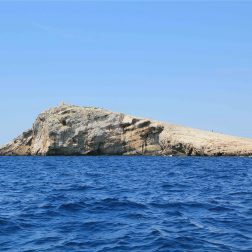 I had no idea these islands existed – I have never been to Croatia but desperately want to go after looking at your stunning photos. It looks really untouched and quiet too – not hugely populated? Which must make it feel ever so special. Long may it last! Croatia is one of my dream destinations. Your pictures are so beautiful, I would like to get on the plane right away ..